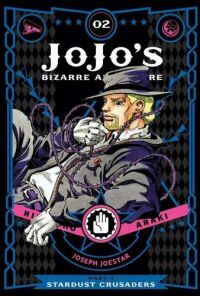 Jotaro and his allies continue their perilous journey to track down the diabolical DIO. Their plane crashed, their submarine sank, so this time they're trying a boat! But enemies are everywhere and Stand users can be anything. Danger comes from the most unexpected places as the most bizarre trip around the world continues!